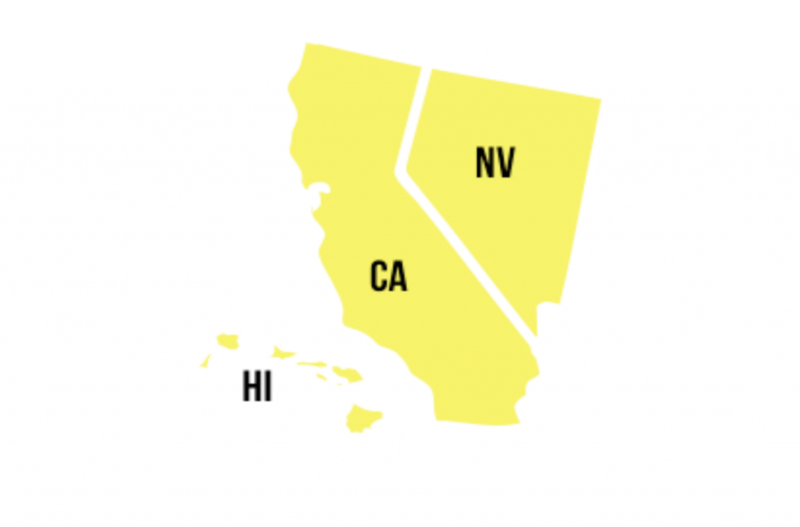 Region XI includes the states of California, Hawaii, and Nevada; the Archdioceses of Los Angeles and San Francisco; and the Dioceses of Fresno, Honolulu, Las Vegas, Monterey, Oakland, Orange, Reno, Sacramento, San Bernardino, San Diego, San Jose, Santa Rosa, and Stockton. 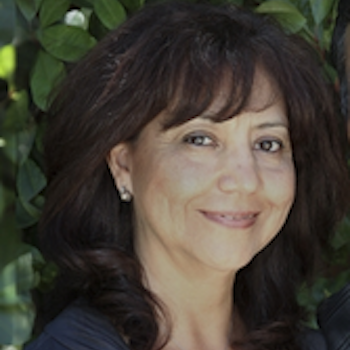 5,184,000 Hispanic Catholics born in the U.S.
73% are Hispanics / Latinos born in the U.S. 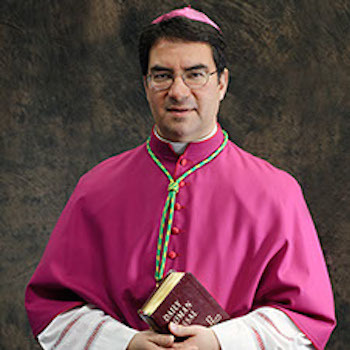 Sent 676 delegates to the National Encuentro, including 5 ENAVE/ERAVE and 15 bishops. 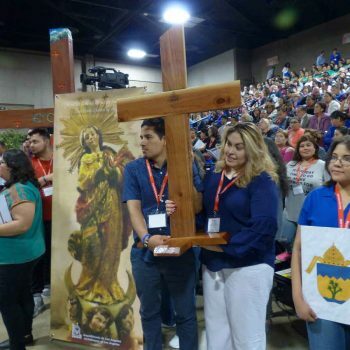 The Regional Encuentro was celebrated with 1,303 delegates and 22 bishops. 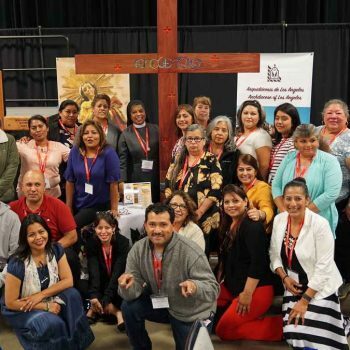 14 Diocesan Encuentros were celebrated, with total attendance of 5,452. 314 parishes / organizations conducted the five sessions and 284 held a Parish Encuentro. 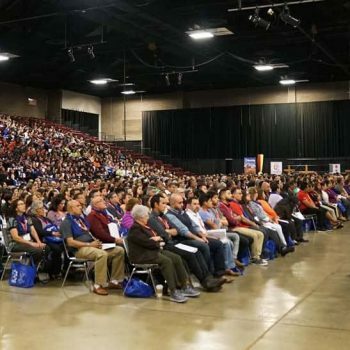 6,459 leaders from 442 parishes received training for the V Encuentro in 225 trainings. 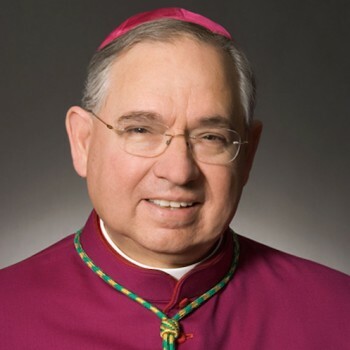 * Of the three (arch)dioceses that do not have an office dedicated to Hispanics or other ethnic groups, two of them (Los Angeles and San Bernardino) expect all diocesan offices to serve Hispanics. The process of the V Encounter in Region XI gave us the opportunity to create a greater awareness in the ecclesial community of what it means to be a missionary disciple. 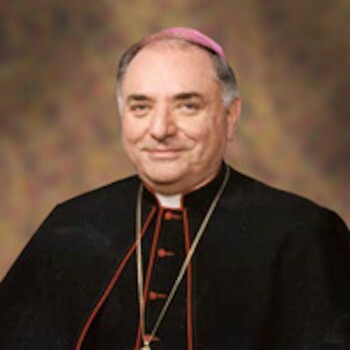 The ecclesiology of the V Encuentro helped us all to recognize ourselves as ecclesial ministers with different roles and responsibilities, but all of us walking together responding to the call to make present the Kingdom of God in the place where we live, work, study, and fulfill ourselves as people and as a community. The diocesan directors promoted an experience ofpastoral de conjunto among the dioceses and among the various ministries and organizations. 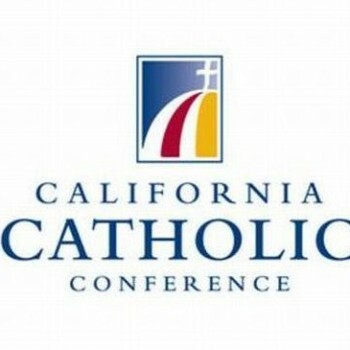 The presence of 22 Bishops from California, Nevada and Hawaii at the Regional Encuentro was a testimony to the unity of the Church in Region XI and gave an extraordinary impetus in the process, as the participants felt accompanied, listened to and affirmed as Church.